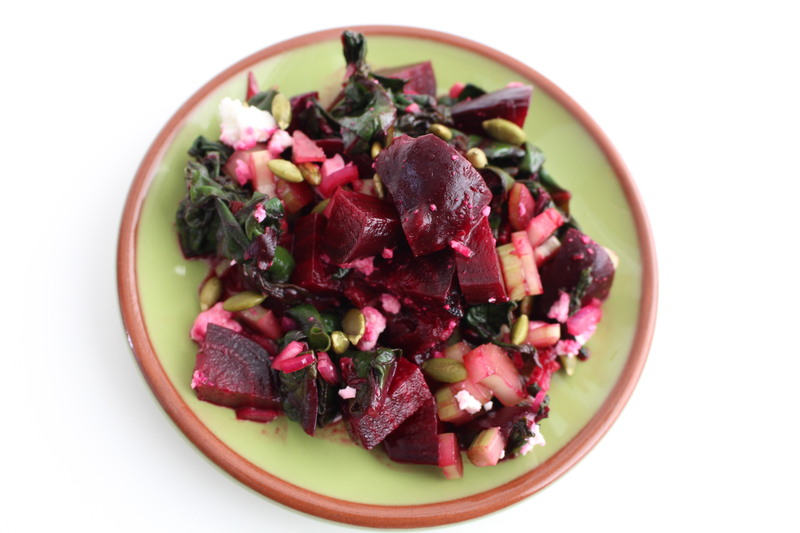 I’m calling this a whole beet salad because the greens are a big part of what makes this recipe special. I’ve adapted it from The New Vegetarian Epicure by Anna Thomas, another cookbook in my collection from the 90s, in my vegetarian years. 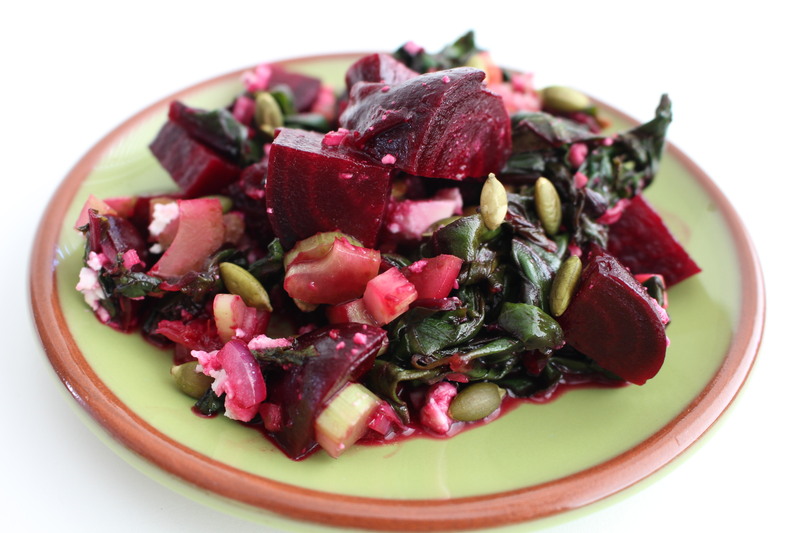 If you haven’t enjoyed beet greens yet, give them a try. Once cooked, they are softer and less bitter than other cooked greens, similar to spinach, though they have a deeper, more interesting flavor. Some people write things no one can understand about wine and apparently I do the same with greens. What can I say? I was a nutrition student at Bastyr where kale ranks #1 in popularity with beets coming in a close 2nd. Preheat oven to 400 degrees F. Cut the greens off the beets, set aside, and scrub the beets well. 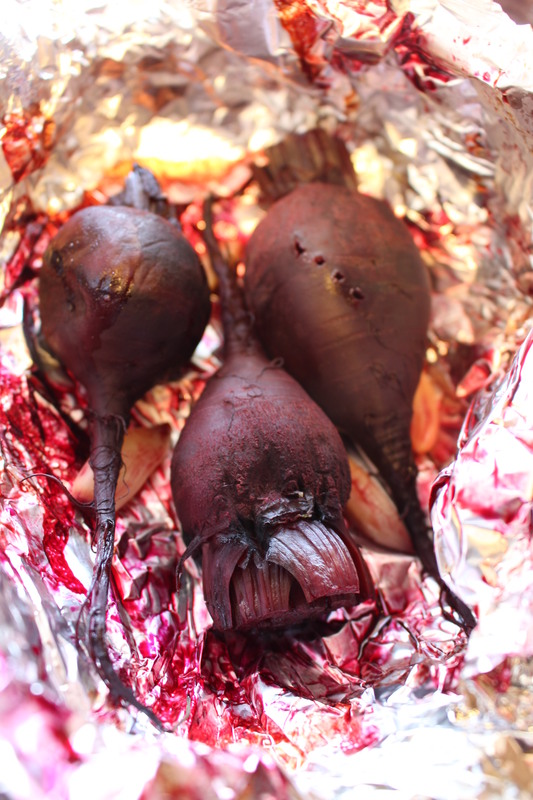 Arrange beets close together on a large piece of foil, scatter the garlic cloves over the beets and seal the foil closed. Bake the beets until tender, mine were small and took about 30 minutes. Meanwhile, wash the beet greens discarding any that don’t look great. 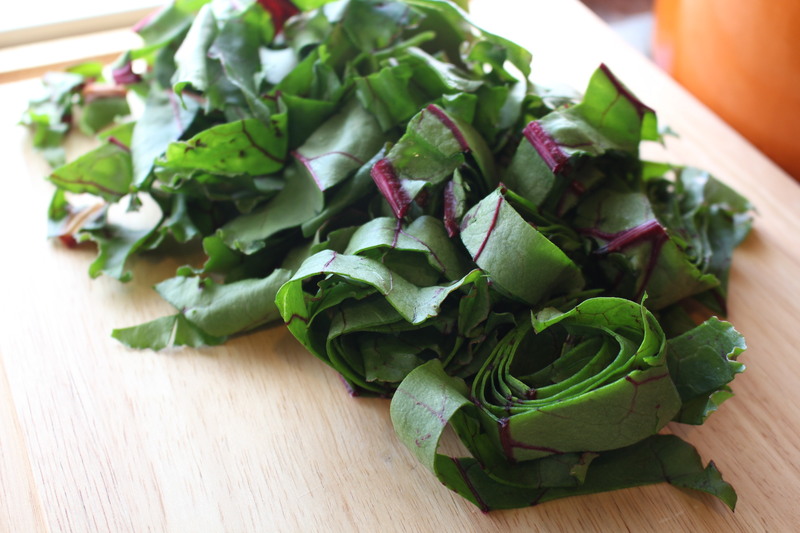 Cut off the stems and chop the leaves in 1″ strips. Heat a glug of olive oil in a medium saute pan and add minced garlic. 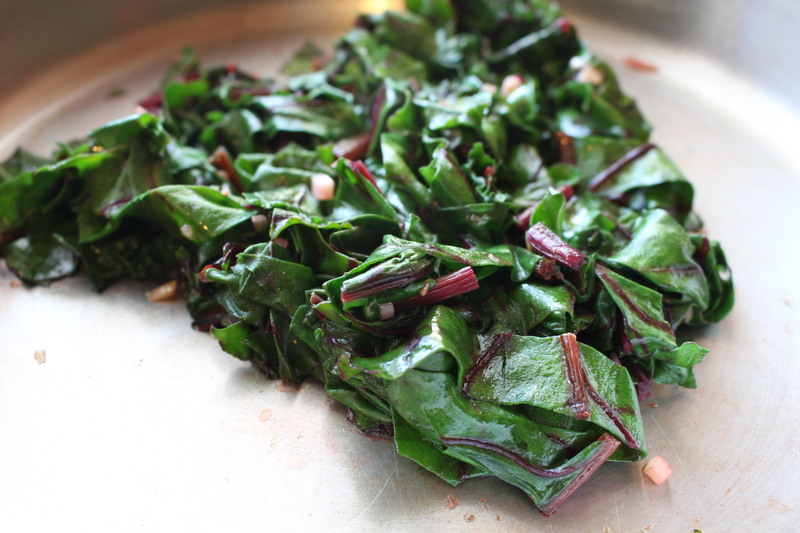 Stir for 30 seconds and toss in the beet greens with a pinch of salt. Saute until greens are wilted, about 3 minutes. Remove pan from the heat. In a small bowl, whisk together the honey and vinegar. Drizzle 1 tablespoon of this mixture over the greens and toss to combine. When the beets are cool enough, slip off their skins and chop them. Squeeze garlic out of their skins and add to the remaining honey-vinegar mixture. Pour this over the beets in a medium bowl and add celery, onion and greens. Mix to combine. Season with salt and pepper to taste. Top with feta and seeds. 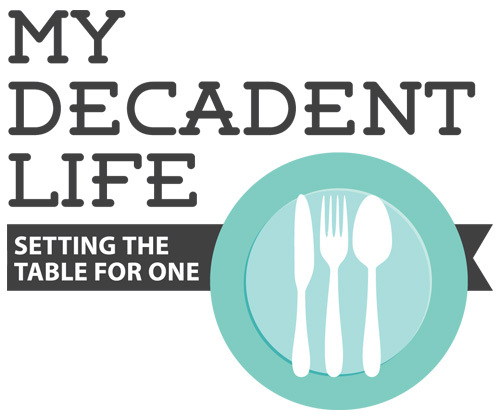 Makes 1-2 servings. Made this for lunch today, Molly! So good. I didn’t have the pumpkin seeds but it was still super yummy. Loved the beet greens.